Liver cancer is one such type of cancer that occurs due to the occurrence of tumors in the liver. Check the reason behind the abnormal growth of cells which can put you at risk of cancer. Liver cancer is a form of cancer that starts in the liver cells. The liver is located in the upper right area of the abdomen just above the stomach and below the diaphragm. The most common form of this cancer is hepatocellular carcinoma which starts in the main liver cell type called hepatocyte. The other types of cells can also develop cancer but are rare. Take note that not all cancers affecting the liver are considered liver cancer. It is called primary liver cancer when the cancer begins in the liver. In some cases, it begins in other areas of the body like the lung and colon then later on spreads to the liver which is called metastatic cancer. It is named after whichever organ it began like metastatic breast cancer which describes cancer that begins in the breast and spreads to the liver. Abdominal pain in the liver area. Jaundice or yellowish eyes and skin. Appetite loss causing weight loss. Primary liver cancer or hepatocellular carcinoma typically occurs in livers that are damaged from birth defects, chronic infection, alcohol abuse and cirrhosis. More than 50% of individuals diagnosed with primary liver cancer suffer from cirrhosis which is commonly caused by alcohol abuse. Hemochromatosis and hepatitis B and C can damage the liver permanently leading to failure. 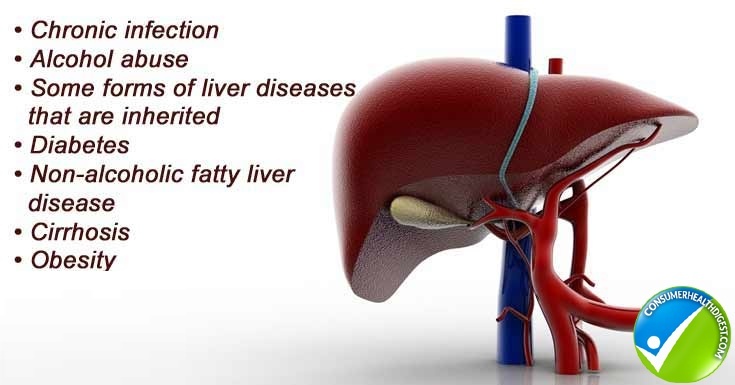 Liver cancer is also known to be connected to fatty liver disease and obesity. Hepatocellular Carcinoma (HCC): It accounts for about 75% of all liver cancers. It begins in the main type of liver cells (hepatocellular cells) and it is usually caused by liver cirrhosis from alcohol abuse or hepatitis B or C infection. Fibrolamellar HCC: This is a rare form of HCC that is more responsive to treatment compared to other types of liver cancer. Cholangiocarcinoma or Bile Duct Cancer: It accounts for about 10 to 20% of all liver cancers. When it begins in the ducts within the liver, it is called intrahepatic bile duct cancer but when it develops in ducts located outside the liver it is called extrahepatic bile duct cancer. Angiosarcoma or Hemangiosarcoma: This starts in the blood vessels of the liver then it grows rapidly, so it is usually diagnosed in the later stages of cancer. Secondary Liver Cancer: This is when the cancer starts in another part of the body but spreads into the liver. Blood Tests: This will reveal abnormalities of the liver’s function. Imaging Tests: This includes ultrasound, magnetic resonance imaging and computerized tomography scan. Liver Biopsy: A sample of liver tissue is removed for examination under a microscope. Surgery: The portion of the liver with cancer is removed including a healthy portion that surrounds it. Liver Transplant: The diseased liver is removed then it is replaced with a healthy liver from a donor. Freezing Cancer Cells: Extreme cold will be used for destroying cancer cells. This is called cryoablation wherein a cryoprobe is used to inject liquid nitrogen into liver tumors. Ultrasound imaging is used to guide for guiding the cryoprobe and monitoring the procedure. Radiofrequency Ablation: Cancer cells are heated using electric current destroying cancer cells. 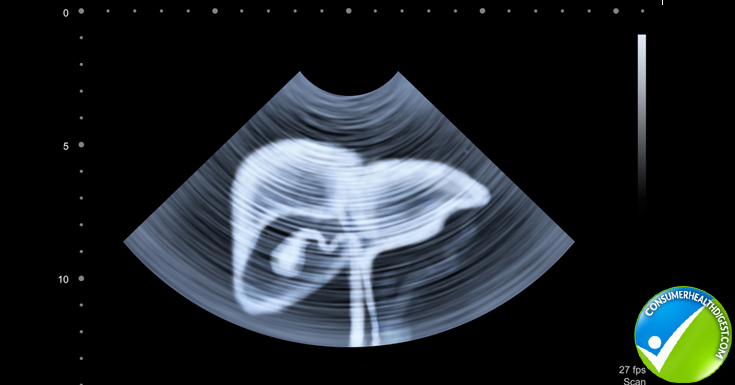 An ultrasound or CT scan is used as a guide. Alcohol Injection: Pure alcohol is injected into tumours directly causing cancer cells to die. Chemoembolization: This is a type of chemotherapy treatment wherein strong anti-cancer drugs are injected directly to the liver to kill cancer cells. Radiation Therapy: High powered energy beams are used for destroying cancer cells and shrinking tumours. Targeted Drug Therapy: Targeted drugs interfere with the ability of the tumour to grow. This helps slow or stop advanced hepatocellular carcinoma from developing for several weeks longer. Alternative treatments can be used but only for controlling pain. This includes acupressure, acupuncture, relaxation techniques and music therapy. It is important to learn about liver cancer and the specific type of the disease in order to make the necessary decisions in regards to treatment. There are coping groups for cancer wherein you can learn from others that are going through or have gone through what you are currently experiencing. This will help you cope and in some cases can help you prepare for what will happen in the future.